Union Finance Minister Mr Arun Jaitley on 27 January urged officials of the customs administration to cut red tape, facilitate cross border trade and help improve India’s position in the World Bank’s ease of doing business ranking. Addressing officials at the investiture ceremony and International Customs Day-2018 celebration here, Jaitley said that a large part of the minute requirements to be satisfied to raise India’s ranking falls in the domain of customs and that these requirements are not difficult to be met. The Minister said that dynamic nature of the Indian economy and availability of technology tools has impacted the functioning of all the Departments including the nature of Tax Administration. 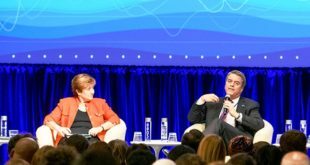 The Finance Minister said that there are two major challenges before the Customs Administration today which include that of trade facilitation and sharp detection & enforcement to avoid any tax evasion. Mr Jaitley said that there is also a challenge to keep a balance between these two dichotomic functions where the experience of tax authorities come to their rescue. The Finance Minister expressed confidence that CBEC would take necessary steps to ensure that India’s ranking in trade across borders would improve substantially. On the occasion, Mr Jaitley also released two IT tools of the Customs Department i.e. ICETRAK, and ICETAB, developed by the CBEC to provide an easy way for trade to track their consignments and for providing other important information and updates. Earlier, the Minister of State for Finance, Mr Shiv Pratap Shukla, in his address complimented the role of Customs in implementing GST in record time, in securing our international borders and for facilitating trade and international passengers at airports. The Finance Secretary, Dr. Hasmukh Adhia congratulated the Department for smooth implementation of GST and adoption of new technology. He underlined the important role of Customs in further improving the nation’s ranking in trading across borders while appreciating the enhanced adoption of technology and keeping a pace with latest technology in their business processes. Mr P.K. Das, Member (Customs), Central Board of Excise and Customs (CBEC), also spoke about the thrust on enhancing trade facilitation and the role of other stakeholders including participating Government agencies. Mr Sunil Kumar Sawhney, Chief Commissioner of Customs, Delhi Customs Zone, presented the vote of thanks. International Customs Day celebrations were organised by the Central Board of Excise & Customs (CBEC). 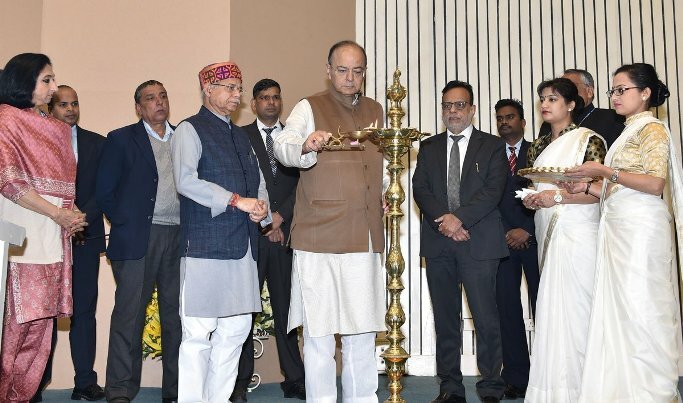 The Union Finance Minister, Mr Arun Jaitley was the Chief Guest on the occasion while the Union Minister of State for Finance Mr Shiv Pratap Shukla was the Guest of Honour. The Finance Secretary Dr. Hasmukh Adhia, and Ms. Vanaja N. Sarna, Special Secretary to Government of India and Chairperson, Central Board of Excise and Customs (CBEC), along with the Members of CBEC, senior officers of CBEC, various other Departments of the Government and foreign dignitaries were present. Presidential Award of Appreciation Certificates and World Customs Organization (WCO) Certificate of Merit Award were also presented to the distinguished officers and staff of the CBEC. 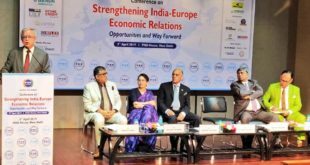 Earlier, Ms Vanaja N. Sarna, Chairperson, CBEC welcomed the dignitaries and highlighted the recent Key Initiatives taken by Customs for enhancing trade facilitation in line with the Action Plan for implementing the Trade Facilitation Agreement of the WTO ratified by India and in alignment with ease of doing business at the highest levels of government. These officers and staff were selected on the basis of their exemplary performance in their respective field of services over the years. The Awardees selected this year include officers from all cadres of the Service, who have consistently performed with distinction in their various assignments, including prevention of smuggling, detection of tax evasion, detection of trade based money laundering and foreign exchange violations, besides contributions in tax policy formulation, revenue mobilization, and automation of business processes, and capacity building and training among others. The following officers and staff of CBEC along with others received the Presidential Commendation. Shri Satya Narayan Saha, Principal Additional Director General, Directorate General of Central Excise Intelligence (DGCEI), Zonal Unit, Hyderabad. Shri Syed Haider Hasan, Principal Commissioner , Central Excise Zone, Meerut. Shri Srinivas Murty Tata, Commissioner (Service Tax), Central Board of Excise and Customs (CBEC), New Delhi. Shri Sunil Jain, Commissioner, Central Excise Zone, Hyderabad. Shri Rajendra Kumar, Director (Legal), Central Board of Excise and Customs (CBEC), New Delhi. Shri Neeraj Prasad, Additional Commissioner, Directorate General of Taxpayer Services, New Delhi. Shri Manish Goyal, Additional Director, Directorate General of Human Resource Development (DG HRD), New Delhi. Shri Nasim Arshi, Additional Director, Risk Management Division (RMD), Mumbai. Dr M. G. Thamizh Valavan, Director (Anti-Smuggling), Central Board of Excise and Customs (CBEC), New Delhi. Shri Dinesh Kumar Gupta, Director (Drawback), Central Board of Excise and Customs (CBEC), New Delhi. Shri Mihir Ranjan, Additional Commissioner, Directorate General of Vigilance (DGoV), New Delhi. Shri Nitin Saini, Additional Director, Directorate General of Central Excise Intelligence (DGCEI), Regional Unit, Ludhiana. Shri Zubair Riaz Kamili, Director (Customs), Central Board of Excise and Customs (CBEC), New Delhi. Shri Maneesh Kumar, Additional Director, Directorate General of Revenue Intelligence (DGRI), Zonal Unit, Ahmedabad. Dr. Pradyumn Kumar Tripathi, First Secretary, High Commission of India, Singapore. Shri Pramod Kumar, Officer on Special Duty (Joint Commissioner), Tax Research Unit (TRU), Central Board of Excise and Customs (CBEC), New Delhi. Shri Sanjiv Kumar Mishra, Joint Commissioner, Directorate General of Systems and Data Management, New Delhi. Shri Chanderpal Singh Chauhan, Deputy Commissioner, Customs Zone, Mumbai-II. Ms. Samrita Kaur Gill, Deputy Director, Directorate General of Revenue Intelligence (DGRI) (Hqrs. ), New Delhi. Shri Avinash Shashikant Patane, Assistant Commissioner, Central Excise Zone, Pune. Shri Shiv Kumar Sharma, Senior Intelligence Officer, Directorate General of Revenue Intelligence (DGRI), Zonal Unit, Delhi. Shri K. Ramachandran, Superintendent, Central Excise Zone, Chennai. Shri D. Venkateswaran, Senior Intelligence Officer, Directorate General of Revenue Intelligence (DGRI), Zonal Unit, Chennai. Shri Probir Kumar Sen, Superintendent, Customs and Central Excise Zone, Shillong. Shri Achal Mehrotra, Senior Intelligence Officer, Directorate General of Central Excise Intelligence (DGCEI) (Hqrs. ), New Delhi. Shri Nagabushanam P, Superintendent, Directorate General of Central Excise Intelligence (DGCEI), Zonal Unit, Bengaluru. Shri Pramod Marotrao Dange, Senior Intelligence Officer, Directorate General of Revenue Intelligence (DGRI), Zonal Unit, Mumbai. Shri Ashwani Kumar Kapur, Senior Intelligence Officer, Directorate General of Central Excise Intelligence (DGCEI), Regional Unit, Ludhiana. Shri Baldev Prasad Khanduri, Superintendent, Central Excise Zone, Meerut. Shri Mohan Raghavan, Senior Intelligence Officer, Directorate General of Revenue Intelligence (DGRI), Zonal Unit, Mumbai. Shri Rajesh Ramdas Salian, Superintendent, Risk Management Division (RMD), Mumbai. Ms. Seema, Superintendent, Directorate of Logistics, New Delhi. Shri Mahesh Kumar Purohit, Appraiser, Customs Zone, Mumbai-III. 34. Shri Rajneesh Gupta, Additional Assistant Director (Supdt), Directorate General of Human Resource Development (DG HRD), New Delhi. Ms. Geeta Mohan Menon, Senior Private Secretary to Chief Commissioner of Customs Zone, Mumbai-I. Shri A.G. Rajan, Administrative Officer, Directorate General of Central Excise Intelligence (DGCEI), Zonal Unit, Chennai. Shri Ravi Dutt Shankar, Intelligence Officer, Directorate General of Central Excise Intelligence (DGCEI), Zonal Unit, Delhi. Shri Mamidi Narsingh Rao, Intelligence Officer, Directorate General of Revenue Intelligence (DGRI), Zonal Unit, Hyderabad. In addition, following 20 Officers who have contributed to the WCO Theme were awarded the World Customs Organization (WCO) Certificate of Merit. This honour has been given to 17 Customs Officers, one officer of the Coast Guard, and two recipients are from the private sector. Shri Vivek Ranjan, ADG, Directorate General Taxpayer Services, CBEC, New Delhi. Shri Hardeep Batra, Additional Commissioner, WCO Cell, DG Safeguards, New Delhi. Shri Vishnu Kumar, Joint Commissioner, Customs (Preventive), Bhubaneshwar. Ms. Temsunaro Jamir, Joint Commissioner (ICD), ICD Section, CBEC, New Delhi. Shri Alok Kumar, Joint Director, RMD, DGARM, Mumbai. Shri Manoj Kumar, Joint Director, NACIN Faridabad. Ms. K.K. Suja, Joint Commissioner, Customs, Chennai. Shri V. Suresh, Joint Director, CRCL, Chennai. Sh. Gaurav Shanda, Deputy Commissioner, Single Window Project, CBEC, New Delhi. Dr. Gandhi Donthi, Deputy Commissioner, Directorate General of vigilance (Hrs. ), New Delhi. Shri Priyank Chaturvedi, deputy Director, DG-systems, New Delhi. Shri Anil Kumar Sapra, OSD PAC, Customs Wing, CBEC, New Delhi. Shri B.S. Grewal, Assistant Director, Directorate of Logistics, New Delhi. Dr. Sreeparvathy S.L., Under Secretary, Service Rax, CBEC, New Delhi. Shri Harish Kumar, Assistant Commissioner, CCC Unit, Delhi Customs (DZ), New Delhi. Shri Sanjay Kumar, SIO, DRI DZU, CBEC, New Delhi. Shri Olekkengil Francis Jose, Inspector (PO), Custom House, Cochin. Shri K. Natarajan, Additional Director General, Cost Guard Commander (Western Seaboard), Mumbai., on behalf of Indian Coast Guard. 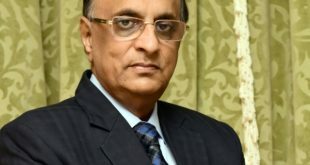 Shri Samir J. Shah, Partner of M/s JBS Group of Companies, Ahmedabad. M/s Kerry Indev Logistics Pvt. Ltd. (ICD), Chennai.